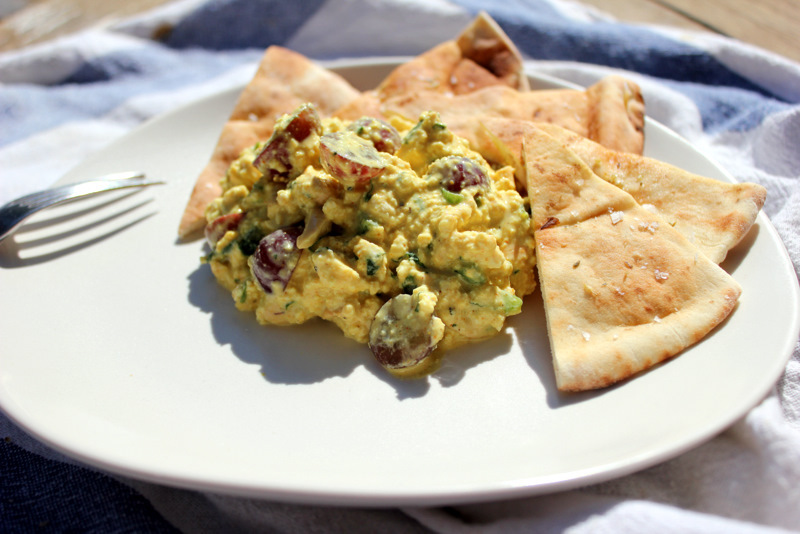 My mom always made her chicken curry salad with red globe grapes and served it with real tortilla chips. A similar recipe was a hit with our clients when made with turkey instead of chicken and served with fresh pita chips sprinkled with sea salt and dried oregano. It’s one of my favorite warm weather dinner salads. If you like tofu, then there’s no reason why not. But tofu haters need not apply. Even with all the ingredients that make this curry salad spicy, sweet, nutty, crunchy and tangy, you can still taste the tofu. Which means it’s ideal for a certain sect of our Meatless Monday readers. Angus and I ate the whole bowl during move-in weekend. Note: Like most soups, curried salads taste better the day after they are made. For optimum crunch, wait to add the cashews until you are ready to eat. Let tofu cubes continue to dry while you mix the curry. Whisk together the yogurt, wine, lime juice, chutney, curry powder, ground ginger and agave. Stir in the celery, grapes, scallions and cilantro, reserving the cashews until just before serving. Carefully fold in the tofu. Season to taste. Chill, covered, at least 6 hours before serving. Add the cashews and enjoy! Happy Anniversary Sarah and Angus!! Love to both! yummmm. 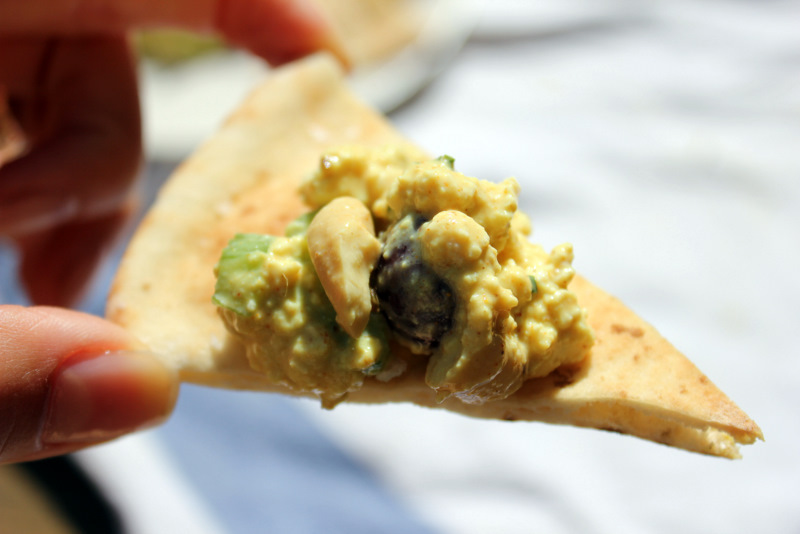 as a devoted veggie and fiend for tofu… this is on the list of what to make this week! Thanks, Emily. Let us know how you like it!